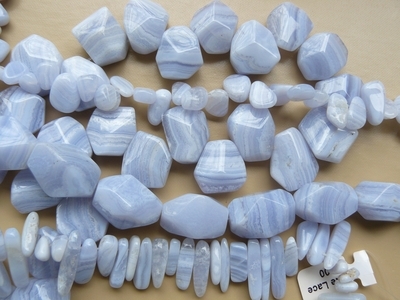 Blue Lace Agate is a blue variety of agate with distinctive white lace-like stripes. It is one of the rarer forms of agate said to have the ability to aid the wearer in communication and confidence. Use one of our styles of blue lace agate to add a calmness and confidence boost to your piece!